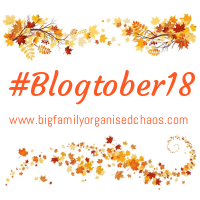 Today is National Badger Day, and the prompt for day 6 of Blogtober is Forest Animals. With that in mind, I’ve decided to put together a list of 10 interesting badger facts…. how many did you know? 1). A male Badger is called a Boar and a female badger is a Sow – the same as pigs! 2). Each Badger will eat hundreds of earthworms every night. They also eat seasonal fruit, insects and plant bulbs. 3). Badgers can (and do) eat hedgehogs – when other food is scarce! This is because they are the only animal which can get past hedgehog spines, thanks to their amazing claws. 4). Each Sett (badger home) usually houses around 4-8 badgers (plus some young). Each one consists of several rooms, tunnels and entrances. The group sharing one sett is called a Clan. 5). Badgers are very clean animals and never poo in their Sett. Consequently, they dig a pit nearby and do their business there! 6). Adult Badgers can be up to 1 metre long! 7). Badgers can live for up to 14 years but the average lifespan is 8 years. 8). It has been illegal to harm badgers in the UK since 1992. 9). Dachshunds were bred to chase badgers out of their setts so they could be killed – (and eaten). Badger stew is delicious, apparently. 10). Badgers don’t hibernate, but they are much less active during winter, and spend most of their time underground. 11). A female badger only has cubs once a year (in February or March usually). Each litter is made up of 1-5 cubs. They remain in the sett until they are around 12 weeks old. Have you learnt anything new from those facts? I didn’t know that they ate hedgehogs; it made me a bit sad to read that! I did not know most of these facts. I don’t think I could ever eat Badger stew though.